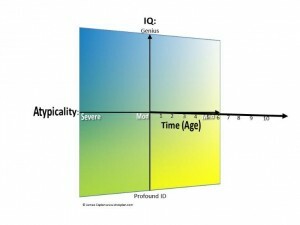 Dr. Coplan returns to Silberman’s Neurotribes, in his discussion of the 3D universe of Atypicality, IQ, and Age. I began this thread several weeks back, with a discussion of Steve Silberman’s book, Neurotribes. 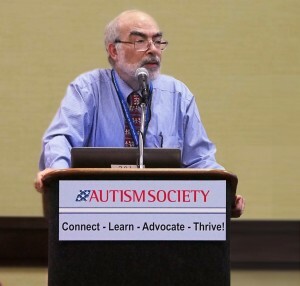 Silberman (and others, including myself) have rightly observed that people with mild atypicality have been with us all along, flying under the radar of an autism spectrum diagnosis. 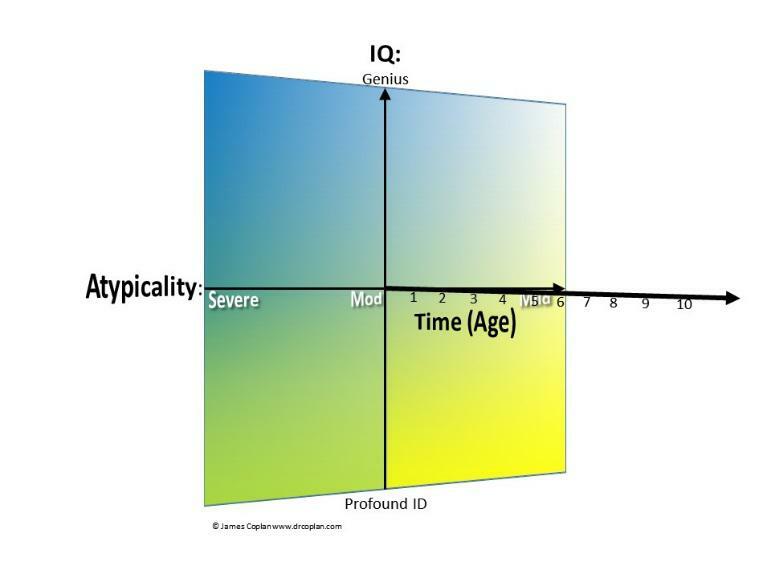 That led into a discussion of my 3D model of ASD, which integrates Atypicality, IQ, and Age into a 3-dimensional “developmental universe,” within which we can readily discern the different “constellations” (or, to borrow Silberman’s term, “neurotribes”) of persons on the spectrum: “High” and “Low” Functioning Autism, Asperger Syndrome, and Intellectual Disability with mild Atypicality, as well as “Borderland” diagnoses such as Nonverbal Learning Disability and Sensory Processing Disorder. The apparent “explosion” of ASD in the past 2 decades is largely (if not entirely) an artifact of improved diagnosis of milder cases, and more stringent service and reporting requirements. The best data on this subject come from England, where, in 2007, the National Health Service conducted a nationwide door-to-door survey of adults living independently in the community. The survey was followed up by actually testing a subset of the interview sample, to determine the sensitivity of the interview data. They found that the prevalence of ASD, using today’s criteria, is about 1% – all the way out to senior citizens in their 60s and 70s. The survey intentionally under-counted the true prevalence of ASD, since the researchers only went to private residences, not mental hospitals, prisons, or group homes. In 2012, these results were replicated and extended in a second door to door sample ; this time, the estimated prevalence of ASD among adults living independently was 1.1%.When we add back the number of adults with ASD residing group homes, mental hospitals, and prisons, and adults who met criteria for ASD as children but “grew out of the diagnosis” (the expected outcome for about 15% of children with ASD), we arrive at an estimated childhood prevalence of ASD among today’s adults of about 1.5 to 2% – exactly the prevalence we see among today’s children. In other words, there has been no “explosion” of ASD – just increased recognition of milder cases. The Brits have done it the right way: Door-to-door sampling. Meanwhile, researchers on this side of the pond continue to rely on secondary source data, such as school records and parent report. Secondary source data are second best, and no substitute for going door to door. Any epidemiologist worth his (or her) salt will acknowledge that – privately, if not in public. 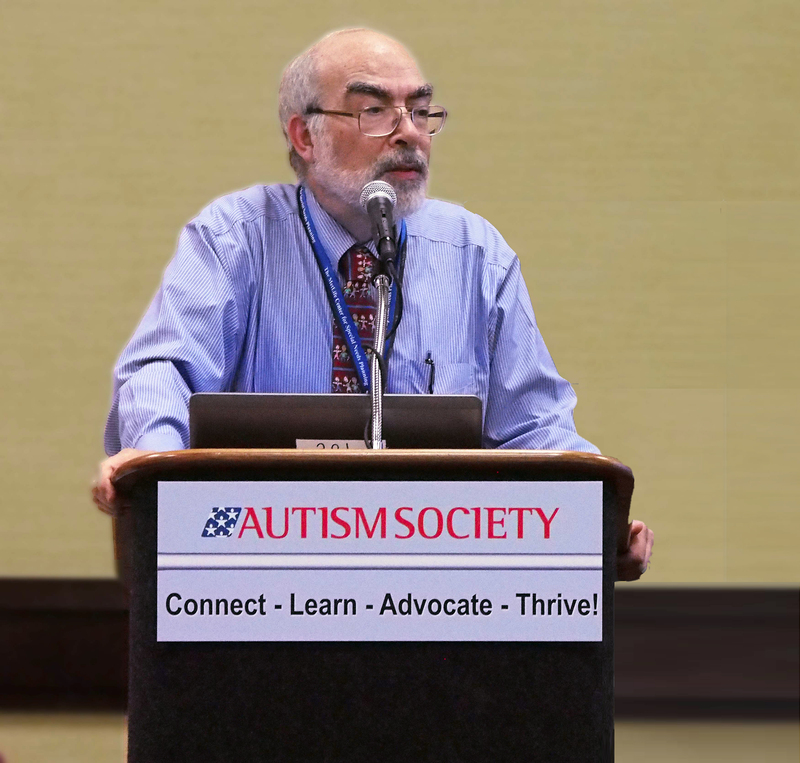 Unfortunately, financial constraints and privacy concerns stand in the way of doing first-rate science in the USA, when it comes to actually measuring the prevalence of ASD. We can display the impact of successive revisions of DSM5 on our 3D map. From 1980 (the first appearance of “infantile autism”) through 2015 (when DSM-IV was replaced by DSM5), the criteria for diagnosing an autism spectrum disorder were steadily expanded. At the same time, Federal regulations were rewritten to include autism as a “reportable” diagnosis. The net effect of these changes was to produce a spike in the number of children receiving an ASD diagnosis. But to date there is no evidence that the number of children with ASD has actually changed. Rather, society is getting better at recognizing milder forms. But we still have a long way to go. The 3D map is also useful when thinking about “Borderland” diagnoses, freeing us from the artificial “siloes” created by DSM5, and when matching therapies to children based on where they are located on the map. More on these topics another time. The autism “explosion” is largely an artifact.